OTT, Inc. is a Microsoft Partner Network (MPN) Gold Enterprise Resource Planning (ERP) and Silver Customer Relationship Management (CRM) partner located in Minneapolis/St. Paul, Minnesota. We assist companies with improving business processes, becoming more efficient, and positioning them for growth into the future. OTT, Inc. has competencies in Enterprise Resource Planning, Business Intelligence, Customer Relationship Management, Portals & Collaboration, is a Midmarket Solution Provider, and a Small Business Specialist. OTT, Inc.’s primary product offerings include Microsoft Dynamics GP, Microsoft Dynamics CRM, Microsoft SharePoint, Microsoft SQL Server and Microsoft Office 365. 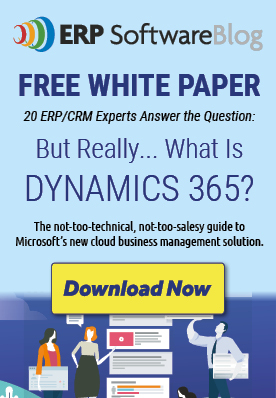 OTT, Inc. offers Microsoft Dynamics CRM for customer relationship management which helps businesses gain and maintain profitability by focusing on their most valued customers and Microsoft Dynamics GP for automated accounting and back office ERP. OTT, Inc. has a dedicated Microsoft Dynamics GP Consulting Team that has many years of experience in both implementing and using Microsoft Dynamics GP. OTT, Inc.’s GP Consulting Team also holds many Microsoft and professional certifications including CPA, MBA, CMA, Production and Inventory Management, and multiple Microsoft Dynamics GP module certifications.